Today I released my latest game: Tractor Beams. 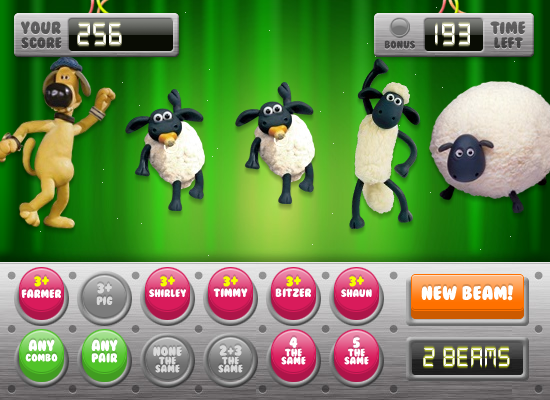 This game was made for the Shaun the Sheep web site, and is a fun take on the classic dice game Yahtzee, only featuring characters from the TV show instead of dice, and a sci-fi setting instead of a casino! If you are a member of the site (and logged in) then it’ll save your score to the highscore system – see how you compare with others across the world! Read about the development process and play the game here. 2.5 New Games and off to another convention! Things have been a little quiet on the PixelBlitz front these past few weeks. I have been working on some new classes but am not ready to release them to svn yet, however I have got a nearly complete Vector2D and Vector3D set ready, which will form the basis for a lot of things to come. The reason for the slow-down is that I’m nearing completion on two brand new games, and resurrecting and finally finishing a third. The old game I’m finishing off is Five Dice Frenzy, a Yahtzee inspired dice game. I’ve beefed-up the visuals, added a worldwide ranking / highscore system and a comprehensive playing guide. There are a few tweaks left but then I will happily release it. It’s up on FGL at the moment but I’ll finish it properly next week. 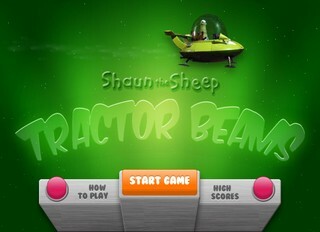 Tractor Beams is a new game for the Shaun the Sheep web site. Next week, around the 15th it will be released and feature exclusively on there for a month before we seed it further. 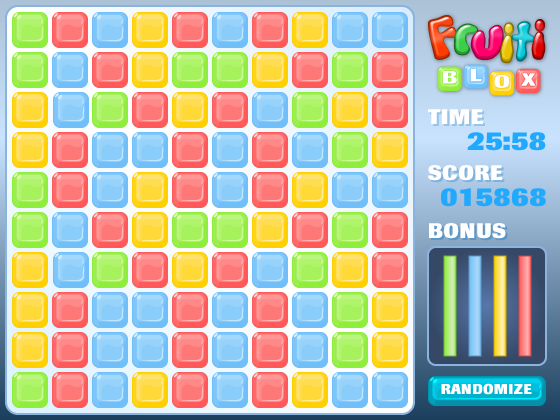 It’s a strategy game very similar to Five Dice Frenzy, but totally Shaunified! We did the visuals in-house, again the excellent pixel work of Gav / Jam Factory (check out his awesome new blog design!). We Tractor Beams will go down well on the Shaun site. It takes a while to get used to it and understand how to play, but once it’s clicked the highscore attack becomes really addictive! Despite what the screen shot above may look like this is NOT a “Match-3” game at all! So what’s next? I actually think it’s time to cease game making for a moment and spend some quality time on PixelBlitz, finishing off all the odds-and-sods I left hanging around, and integrating some core new classes into the fold. By the end of the year I fully expect to have the world manager done, and hopefully the tile map class as well (but no promises on that one!). I’ve been using PixelBlitz (at least core parts of it) in all my games recently, and it definitely speeds things up. But the more I use it for real games, the more I realise we need to add! Right now though I’m off to pack for The Game Creators Convention 2008. I attended last year and it was great fun, so I’m expecting nothing less this year Most people will be there already, but I need to travel up in the morning instead. It means getting up at 4.30am, but it’s worth it!